Leadership Fund: Help support the Club's character & leadership programs. The Arts Fund: Funding will support our Music, Poetry & Anime programs. Club Membership Fund: Partial membership for a club member. Summer Camp Fund: Partial summer camp scholarship for a club member. We are so much more than just a place to go after-school. At the Club every day is truly an adventure in the life of a child. The Club is "A Place To Become." Invest in the Club's future leaders, it's our responsibility! Each year, our club impacts hundreds of youth in our community and without donations from individuals like you, this would not be possible. By supporting the Ulbrich Boys & Girls Club, you are doing more than making a donation. You are providing the young people we serve with life-changing opportunities. We are instilling a sense of competence, usefulness, belonging and influence. For kids like Caitlin, this would not have been possible if she didn’t become a member of the Ulbrich Boys & Girls Club. Caitlin is a sophomore in high school, Vice President of the Keystone Club, former Junior Staff Member, and nominee for Youth of the Year. 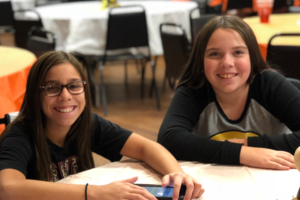 Caitlin stated that she’s “grateful for the life lessons the club has taught her, the safe and friendly environment where she has made friends, learned to become a leader, and mentored younger members." Today, Caitlin is the youngest staff member to work at the club. She’s been empowered to give back to the place that has done so much for her. “I’m excited to teach and inspire so many lives every day and to make a difference in a child’s life, just like the club made a difference in mine”, stated Caitlin. This is the feeling that children get here at the Ulbrich Boys & Girls Club daily. It’s their home away from home, complete with an extended family and a diverse culture that provides a sense of belonging and security. At our Club, providing a safe place for kids to learn and grow is our number one priority. With your help, we will be able to continue to provide an optimal club experience through the arts, academic success, healthy life-styles and character & leadership development. On May 27, 1963, The Boys Club of Wallingford was founded by a group of dedicated citizens. On November 29, 1965 The Boys Club of Wallingford opened its doors at a new facility on the corner of Prospect and Grand Street. At this time, the Club was accepted into membership by Boys Club of America. As the need for youth programs increased, the Boys Club of Wallingford continued to meet the need. In the 80's Girls were admitted as full time members, during this time the Boys & Girls Club changed its named to Boys & Girls Club of Wallingford. As the demand grew and services to youth increased the Boys & Girls Club of Wallingford opened its doors to a new facility on July 3, 1995. 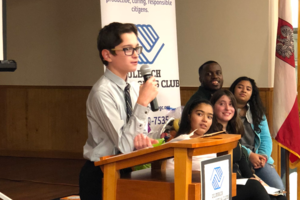 On September 9, 1995, In honor of Fred Ulbrich Jr. the Boys & Girls Club of Wallingford officially changed its name to the Ulbrich Boys & Girls Club. 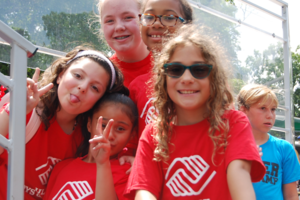 Club programs and services promote and enhance the development of boys and girls by instilling a sense of competence, usefulness, belonging and influence. 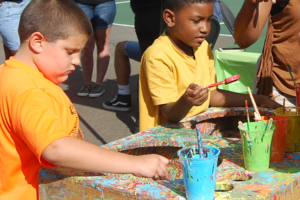 The Ulbrich Boys & Girls Club is a safe place to learn and grow – all while having fun. 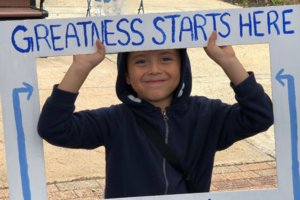 It is the place where great futures are started each and every day. 1. Safe, Positive Environment: Club staff, facilities, program and age-appropriate settings create stability, consistency and a sense of physical and emotional safety for members. The Club provides structure and clearly defines acceptable behavior. Members develop a strong sense of belonging though connections they establish with staff and peers. Staff members make the Club feel like home, fostering a family atmosphere and creating a sense of ownership for members. 2. Supportive Relationships: Club youth develop meaningful relationships with peers and adults. Staff members demonstrate warmth, caring, acceptance and proper guidance in their connections with members. These initiatives develop young people’s capacity to engage in positive behaviors that nurture their own well-being, set personal goals and live successfully as self-sufficient adults. 3. Opportunities and Expectations: Club youth acquire physical, social, technological, artistic and life skills. Clubs encourage members to develop a moral character and behave ethically. Helping youth become responsible, caring citizens and acquire skills for participating in the democratic process is the main thrust of these programs. They also develop leadership skills and provide opportunities for planning, decision-making, and contributing to the Club and community. 4. Education Academic Success: Our Club partners with youth, parents, schools and other community stakeholders to implement at least one of three approaches: academic enrichment and school engagement; targeted dropout prevention; and intensive intervention and case management. Our aim is to ensure that all Club members graduate from high school on time, ready for a post-secondary education and a 21st-century career. 5. Good Character and Citizenship: Frequent Club members become part of our extended family. Clubs recognize and support young people’s self-worth and accomplishments. Staff members encourage youth and provide positive reinforcement as they make improvements and experience success. Helping young people achieve these long-term outcomes is the reason the Ulbrich Boys & Girls Club exists. Regardless of the program or activity being offered, the number one goal of Club staff is to provide guidance and to assist youth in meeting these outcomes.